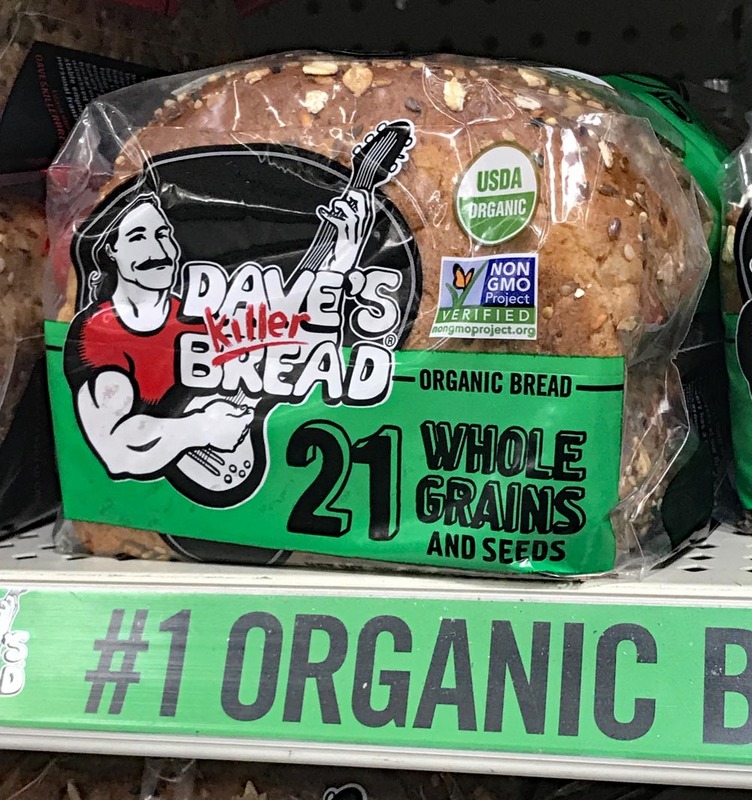 This post was sponsored by Dave’s Killer Bread as part of an Influencer Activation for Influence Central and all recipes and opinions expressed in my post are my own. I like to get all of my ingredients prepped and ready to go. 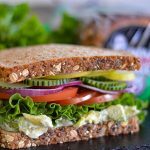 Today I am using all organic produce – green leaf lettuce, tomatoes, red onions, cucumbers and an avocado mayonnaise (vegan, of course). And that secret ingredient I told you about earlier? Thinly sliced pears! This brings a mild sweetness to the sandwich, so there’s that salty and sweet thing going on. I promise you, this is a keeper! 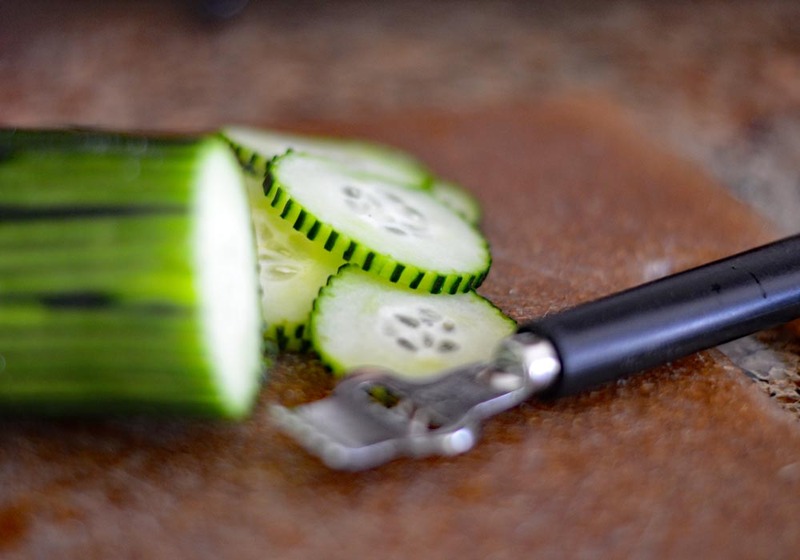 Were you wondering how I got those decorative designs on my cucumbers? It’s simple. I just used a citrus zester and “peeled” the cucumber. Just slice and voila! 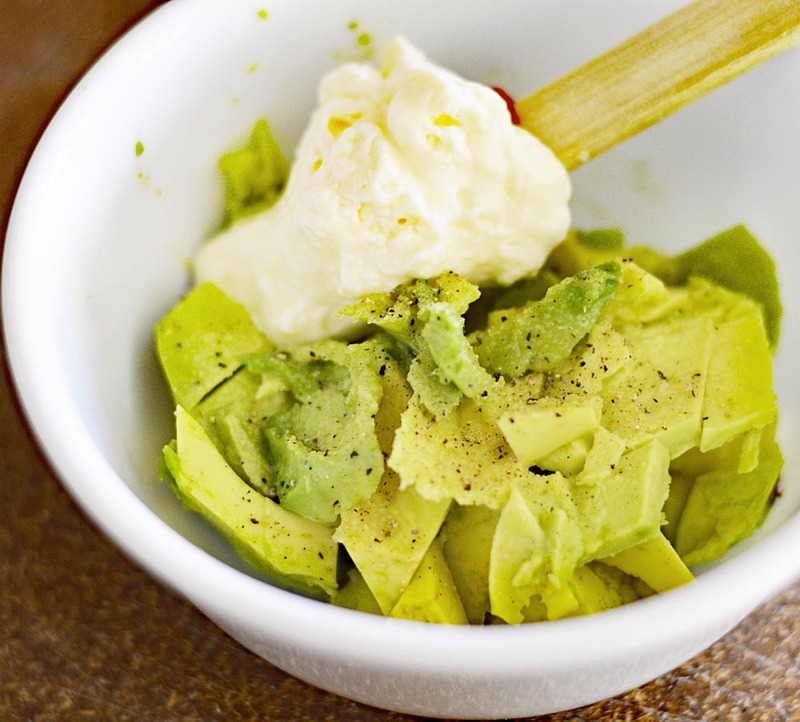 Vegan mayonnaise and fresh avocado chunks are folded together with a pinch of salt and pepper. I also recommend giving those avocados a squeeze of lemon juice to help retain their color while you are doing the prep portion of this recipe. You don’t need a lot, just a touch will do. I like lots of pepper – I think I get that from my grandfather who literally put pepper on everything! 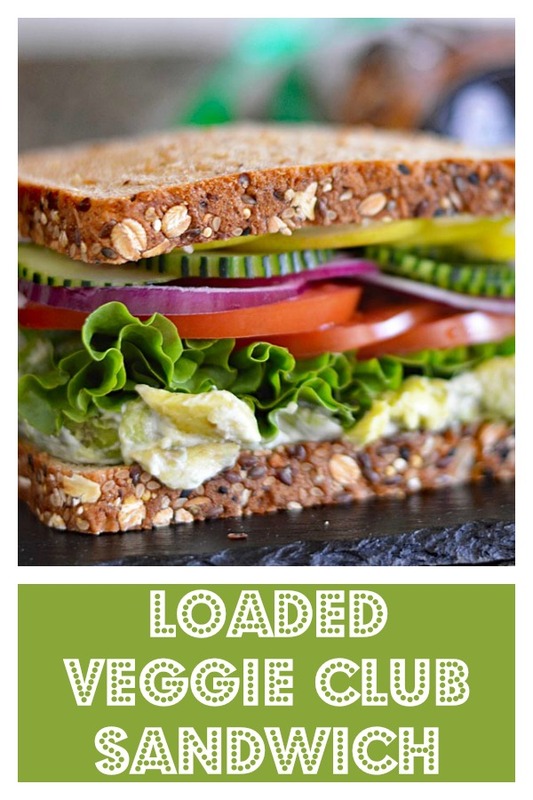 Lets make our Loaded Veggie Club Sandwich featuring Dave’s Killer Bread! 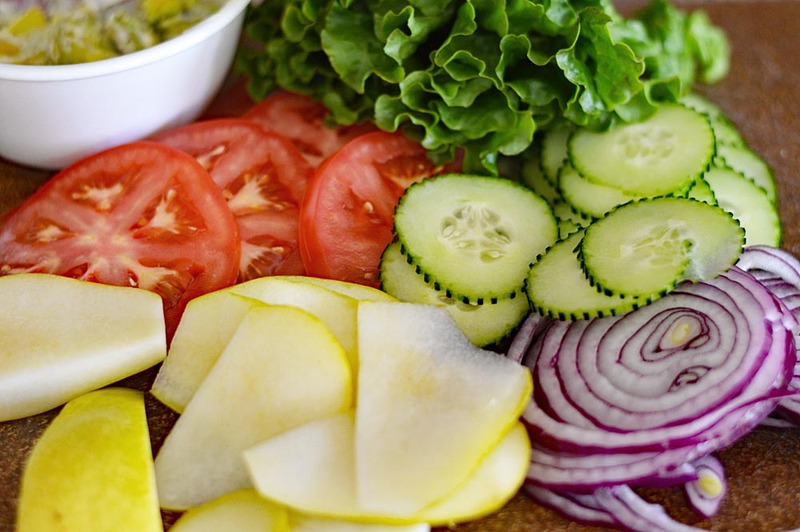 So we are ready to begin assembly of our loaded veggie club sandwich. I am drooling just thinking about it 🙂 I am such a bread fanatic. Anyone who knows me will tell you that. Sandwiches are my go-to meal! I began with my avocado mayonnaise, then the lettuce, tomato (stop here and season with additional salt and pepper), red onion, cucumbers and finally, our pears. I like a pinch of salt on them. It just enhances the flavor, but you can omit this step if you prefer. It’s that salty/sweet thing I love so much. Now this sandwich is LOADED (as the title suggests), so you may want to secure it with a sandwich skewer. Be sure to enjoy it right away! 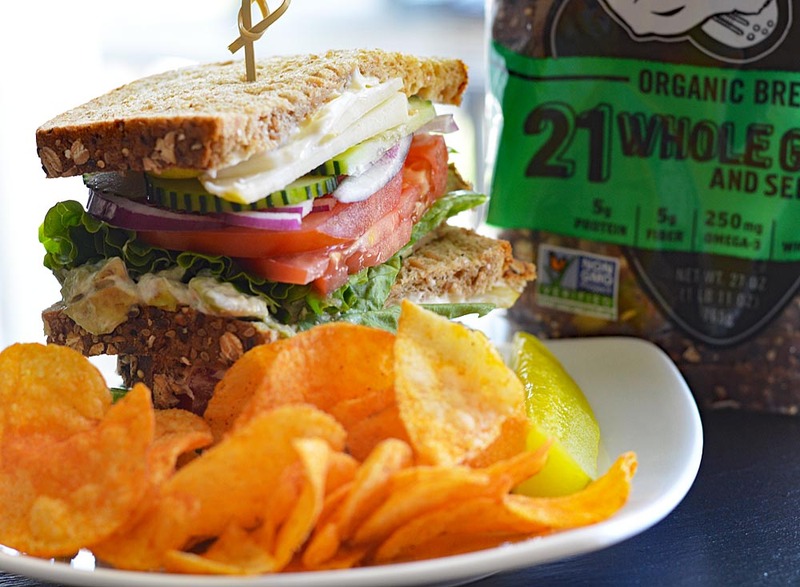 Did you make this recipe for my Loaded Veggie Club Sandwich featuring Dave’s Killer Bread? 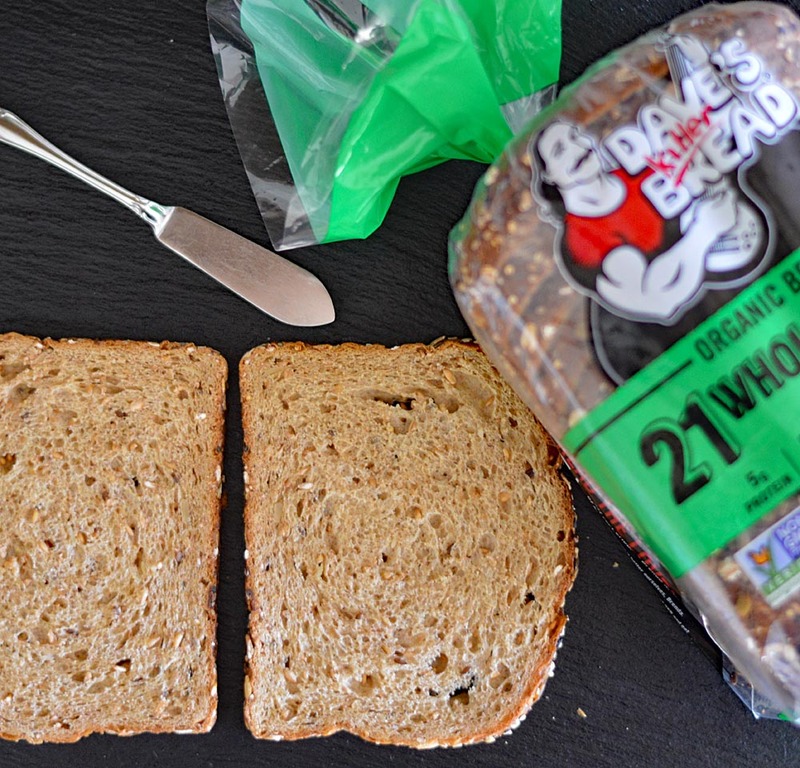 Leave me a comment below and let me know how you enjoy your Dave’s Killer Bread sandwiches. 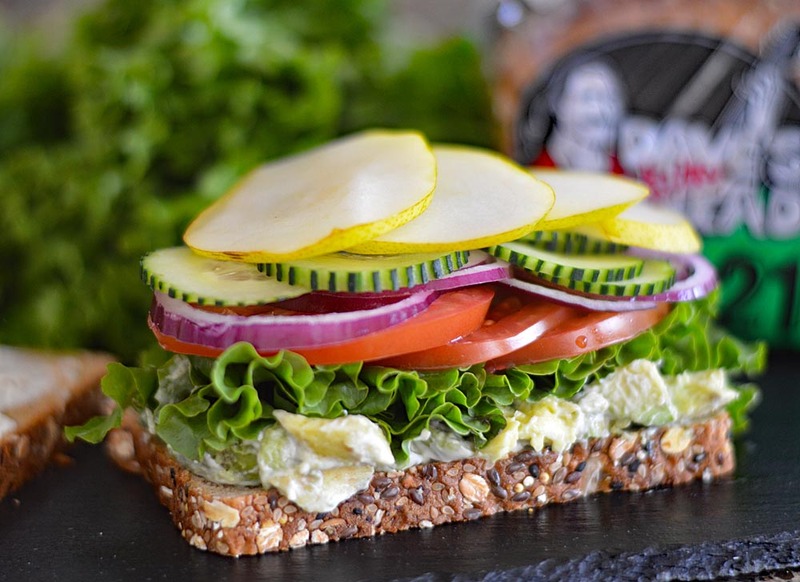 For even more delicious inspiration, be sure to follow Dave’s Killer Bread on Facebook, Instagram, Twitter and Pinterest! Slice the avocado in half and cut into chunks, using a spoon to remove them from the outer skin. Give them a squeeze of fresh lemon juice which will help them from discoloring too quickly. Add a pinch of salt and pepper and about 1 tbl (or more to taste) of vegan mayonnaise. 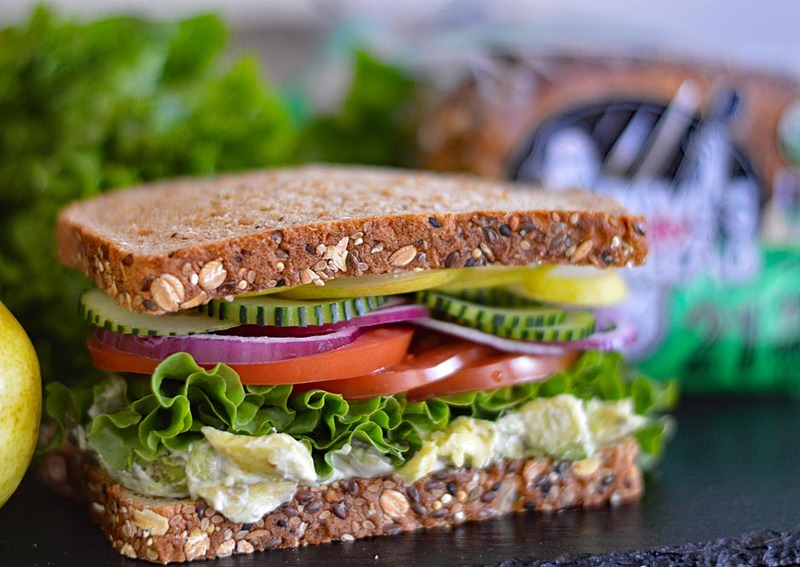 On one slice of the bread, add a thin layer of vegan mayonnaise. Spread all of the avocado mayonnaise on the other half. This is the half we will be building on. Next add a few leaves of lettuce, slices of tomato (stop here and add salt & pepper, to taste. Continue with red onion and pear slices. Top with the other half and give it a skewer. Serve with dill pickles and your favorite potato chip. i love dave’s killer bread!